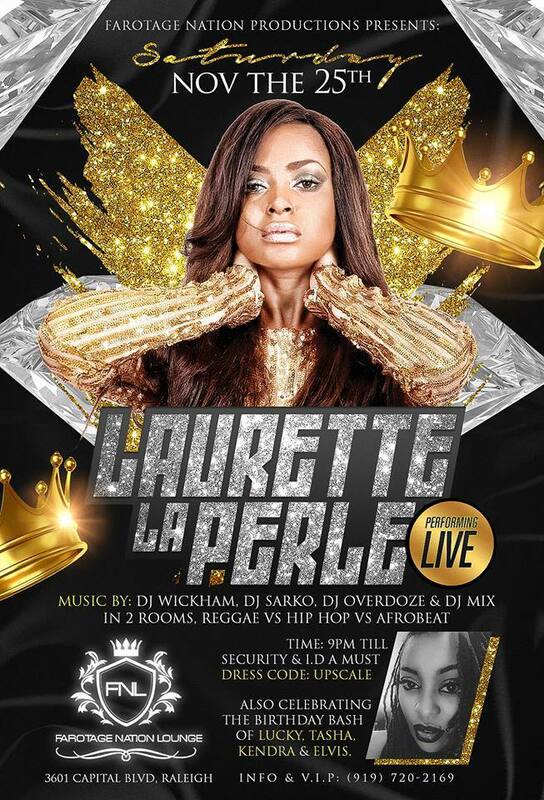 Ladies and gentlemen, here comes the Congolese Queen herself, Laurette La Perle Live at the luxurious Farotage Nation Lounge in Raleigh. Make sure to have your tickets ready! Advance tickets. The city will be on total shut down. Music by DJ Wickham, DJ Sarko, DJ Overdoze, and DJ Mix. We have guest DJs in 2 rooms and 2 bars. Please join us this Saturday for the main event.